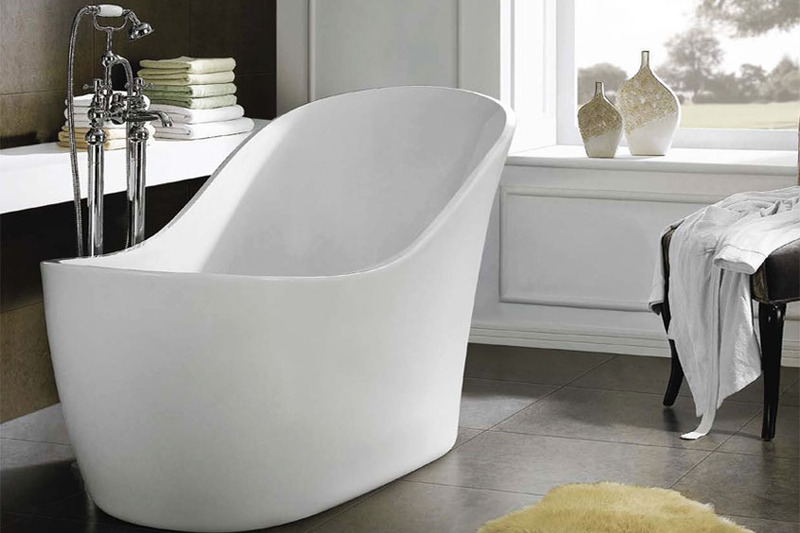 Mardi Gras Modern Luxury Thin Edge Freestanding Slipper Bath - Only £648.99! In stock now for just £648.99 including VAT! Hurry while stocks last! Quite possibly the most luxurious bath on the market today, the Mardi Gras Modern Thin Edge Freestanding Slipper Bath sets new standards when it comes to pampering yourself. Crafted in the very finest materials to the highest standards, this superb bath stands head and shoulders above the competition. The ideal centrepiece for any bathroom, the Mardi Gras adds style and sophistication to any setting. Providing an unbeatable bathing experience thanks to its bold, ergonomic shape, this bath is designed with comfort and relaxation in mind. A smooth acrylic finish with superior heat retention is combined with a generous water capacity for the soothing soak you deserve. The Synergy Mardi Gras Freestanding Slipper Bath is a fresh new design which stands apart from any other. Available in one size of 1700 x 720 x 820mm, this sleek new modern style is designed to improve your bathing experience. It will hands down become the cetnre piece of your bathroom and become the talking point amongst your guests. Includes waste & overflow. It is crafted to the very highest standards and even carries a 25 Year Manufacturer's Guarantee for additional peace of mind. Part of the new expanded range of freestanding baths from VIP Bathrooms, the Mardi Gras Freestanding Bath is designed specifically to offer the optimum bathing experience. With its sleek modern looks, high-quality build and its great-value price, the Mardi Gras has instantly become one of our most popular items. Its superb looking ultra-thin edges provide it with a cutting-edge look, as shown in the image below. Comes with waste and overflow.